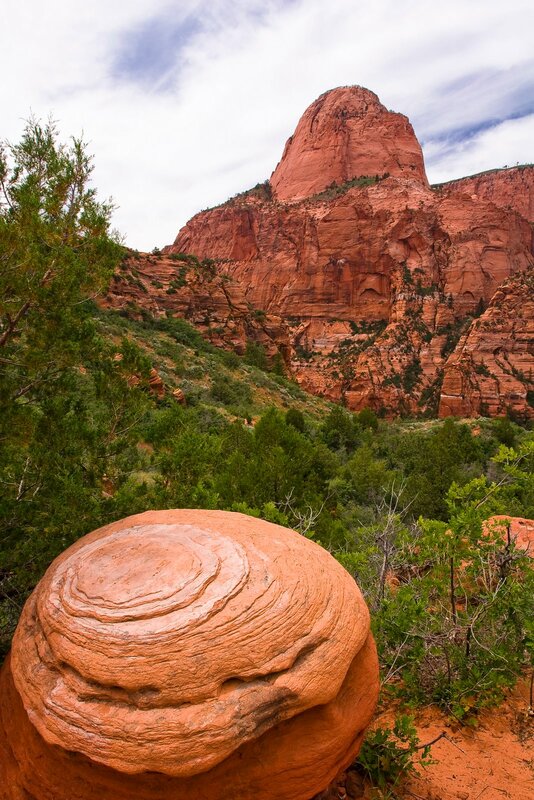 This interesting circular pattern on the rock caught my eye as we hiked through Kolob this morning. In the background, the beautiful red mountains of Kolob can be seen. This beautiful stretch of trail leading out of Kolob and into Hop Valley had the feeling of crossing a large desert. 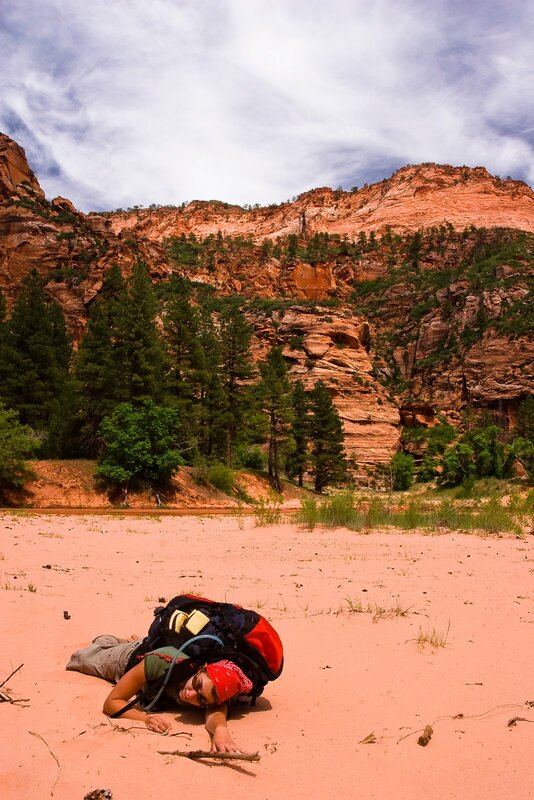 We entered a beautiful wide open valley completely surrounded by tall red rock cliffs, but instead of finding a field of flowers, the valley was full of soft, hot, red sand. Great scenery, but tougher to hike than the trails normally found in Zion. Here is Karen hamming it up - don't worry, it was not really like crossing the Sahara Desert, and we had plenty of water. 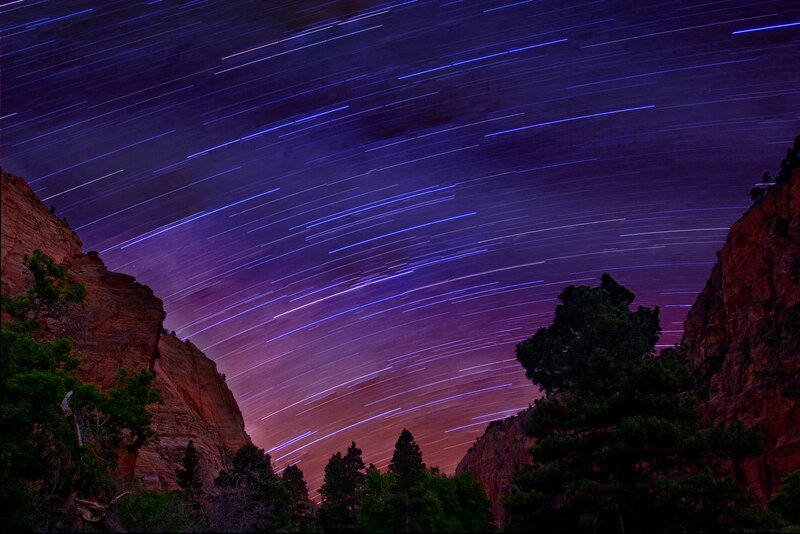 This star trails photo consists of 3 seperate 15 minute exposures overlayed on top of each other. With the camera on the tripod and the shutter left wide open for 15 minute intervals, the stars appear to shot across the sky as the earth rotates in orbit. The foreground is light because an initial exposure was taken just as the sun was setting.